Thank you for visiting our website and finding time to get to know Boro Hall Pharmacy. 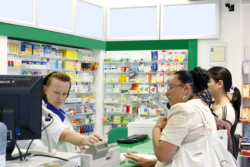 Boro Hall Pharmacy is a full service community pharmacy based in New Jersey. For more than five decades, we have eagerly served the pharmacy service and medication needs of our clients. Our pharmacy is capable and anxious to provide any service and/or product for you and your family. We also offer free delivery and pick up of prescriptions to surrounding towns.